The Epiphone Les Paul Standard captures the iconic feel and tone of the original LP at an affordable price point. Classic. Timeless. Legend.. 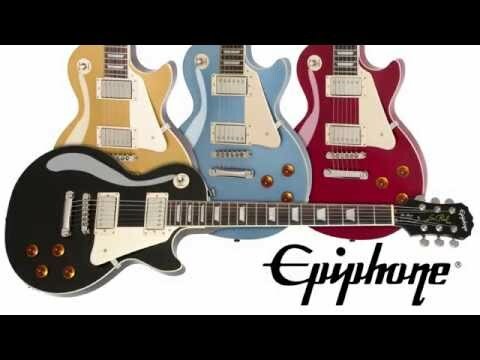 The Epiphone Les Paul Standard captures the iconic feel and tone of the original LP at an affordable price point. Now, the classic look of the 'plain' maple top is available to go with the classic Les Paul Sound. This understated look is preferred by many Les Paul fanatics. It still has everything you need in a Les Paul: the Solid Mahogany body, Maple top, Alnico V Humbucker pickups and the Tune-o-matic bridge/Stopbar tailpiece combo for monstrous sustain. The iconic Les Paul Standard remains one of the most sought after guitars in the world 50 years since its first issue. 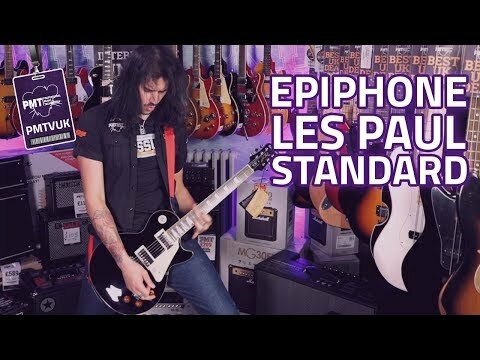 Now, Epiphone's Les Paul Standard brings you the classic features and tone of Les’ invention with legendary Epiphone quality and value.